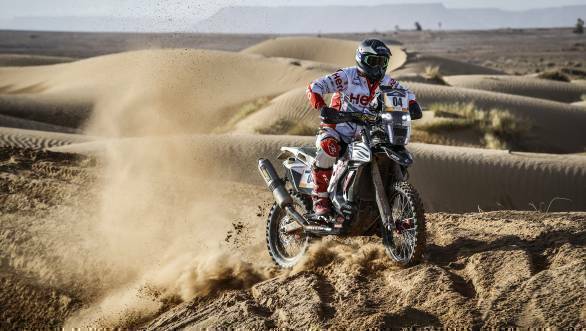 Hero MotoSports Team Rally has begun their run up to Dakar 2020, with a two-rider team at the 2019 Merzouga Rally. Oriol Mena and Joaquim Rodrigues are competing in the rally for the Indian outfit, while C. S. Santosh has been rested. Santosh, who suffered an injury at the 2019 Dakar Rally, is being allowed more time to recuperate and get back to full strength before his next competitive outing. After scrutiny and administrative checks, the competitors were allowed a free practice run over a 38km stretch in order to get acclimatised with the terrain and equipment. This was followed by a short 2km prologue, in order to determine the starting order for the first stage of the rally. Oriol Mena, astride the No. 4 motorcycle, finished eighth, and Joaquim Rodrigues, astride the No. 6 motorcycle, finished fifth. 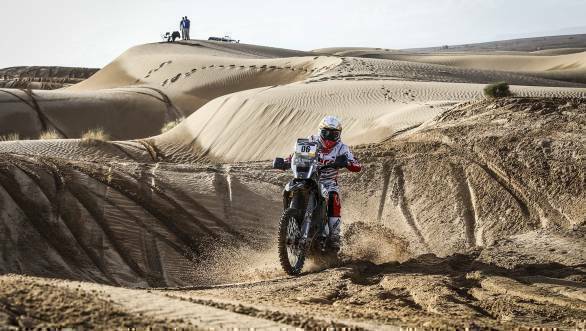 The Merzouga Rally has typically been an event that has favoured the Hero MotoSports Team Rally outfit, with the team having finished the rally in a strong position in the previous three editions of the event. In the fourth edition, which is meant to be more technical and tougher, the team is hoping to do even better. The rally will run over 1200km, including 750km of special stages, between April 1st and 5th, 2019. BMW 7 Series Facelift - First Drive..